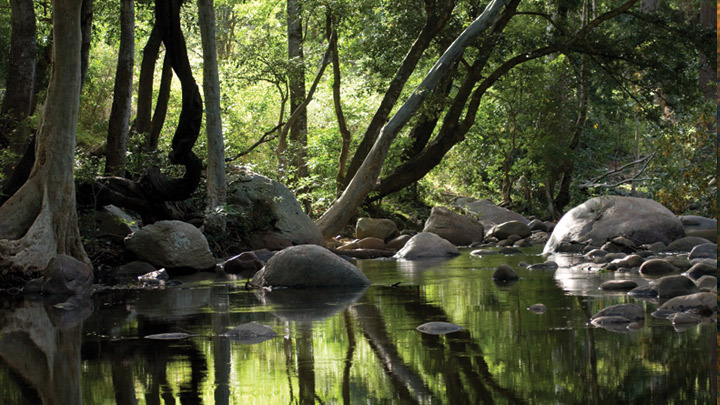 An extensive Sandalwood forest nearby is an added attraction at Chinnar. This is also an ideal place for watching herds of gaur and elephants amble past. Dry deciduous forests, high sholas and some grasslands add to the diversity of the sanctuary. As one travels from Karimuthi to Chinnar, elephants, spotted deer, sambar, hanuman langur and even peacocks can be spotted on either side of the road.